Steve Jobs promised "A Greener Apple" last May, and it looks like he meant it: the MacBook Air won praise from Greenpeace for "[raising] the bar for the rest of the industry", and this week's announcement about new MacBooks went further still. As ever, Jobs didn't mince his words. "They are the industry's greenest notebooks," he said. So has Apple gone green? Apple certainly thinks so. "The entire new MacBook family meets stringent Energy Star 4.0, EPEAT Gold and RoHS environmental standards, and leads the industry in the elimination of toxic chemicals by containing no brominated flame retardants, using only PVC-free internal cables and components, and using energy efficient LED-backlit displays that are mercury-free and made with arsenic-free glass," the firm says. In addition, the MacBook's display is less power-hungry than LCDs, it uses packaging that's 41 per cent smaller than before, and its aluminium and glass enclosure is "highly" recyclable. Casey Harrell, Greenpeace international toxics campaigner, warmly welcomed the latest laptops. "Apple has raised the bar for other desktop and notebook companies, specifically on the phase-out of toxic Brominated Flame Retardants in internal components, which sets a new industry standard for PCs," he says. We spoke to Tom Dowdall, co-ordinator of Greenpeace's toxic tech campaign, who'd just blogged on that very subject. By limiting the PVC-free cabling to internal components only, the MacBook is "not quite the breakthrough we were hoping for", but it's still a big deal. "The most significant announcement that will resonate within the industry is that Apple is on course to be completely PVC and BFR free across its product range by the end of 2008," Dowdall writes, adding: "This will be a first for a computer maker and lays down the challenge to competitors such as HP, Dell, Lenovo, Acer and Toshiba... if Apple has solved the challenges involved, there's no excuse for any of these companies not to follow Apple's lead on toxic chemicals elimination now, [instead of] waiting until the end of 2009." As Dowdall points out, Jobs has also updated Apple's environmental website. "It makes very interesting reading," he says, and he's right. Jobs provides extensive information on what Apple's up to and what it plans for the future, and of course he takes a dig at the opposition too. "The 20-inch iMac consumes about the same amount of electricity as a single household light bulb - just 67 watts - when on," Jobs writes. "That's more efficient than our competitors have pledged to make their PCs two years from now." 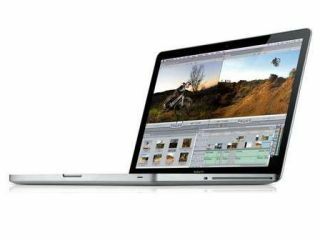 According to Apple, the MacBook is better still: "The processor even throttles down to save power between keystrokes as you type... when it's turned on, the new MacBook uses one-quarter the power of a single lightbulb." So has Apple turned a green corner? Put it this way: two years ago, Greenpeace activists were protesting outside Apple stores. Today, they're urging other firms to follow Apple's lead. That doesn't mean Apple is beyond criticism - but right now, it's definitely beyond its competitors.